You’ve probably seen a trend in my book reviews in the last years: They’ve been more and more about mountaineering and climbing. 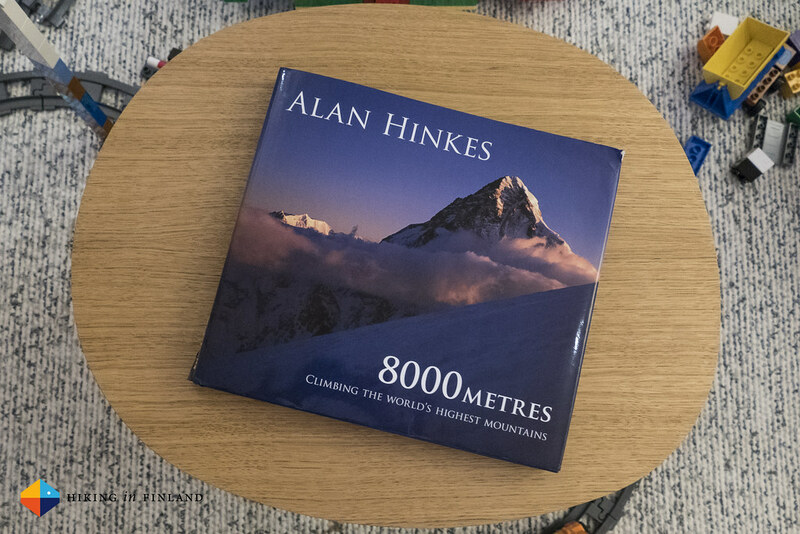 Why that is so I’ll explain at another time, but now I want to take you along and tell you about the latest book I have read, 8000 Metres - Climbing the World’s Highest Mountains by Alan Hinkes. There’s 14 8.000 m peaks on this planet and Alan Hinkes is the first British Mountaineer to have successfully summited all fourteen of them. 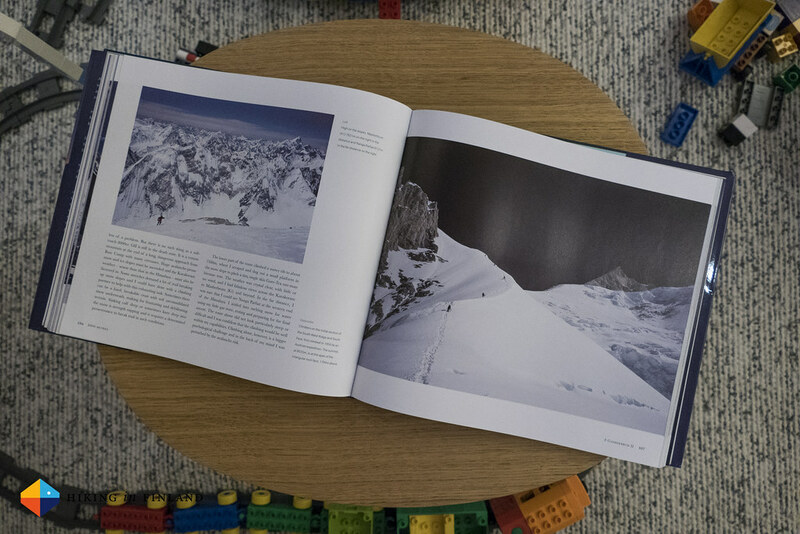 In his splendid coffee table book “8000 Meters - Climbing the World’s highest Mountains” he tells the stories and shares his fantastic photos with the reader. Its a chronological layout and after a Foreword, Preface and Introduction we start at Alan’s first 8.000 m summit, Shisha Pangma, which he climbed in 1987. From that year one Alan has been almost every season in the Himalayas and Karakoram on a quest to climb 8.000 m peaks, even if climbing all 14 of them wasn’t something that he set out to from the start. His writing style is very enjoyable: Honest, down-to-earth and lacking hyperboles which easily could sneak itself in when writing about climbing the highest peaks on the planet. The thoughtful texts describe the experiences of climbing the high mountains, what kind of mental and physical difficulties one can face, from the waiting game in base camp while sitting out bad weather and passing frozen corpses high on the mountains to climbing difficulties and getting up and down these peaks. Alan’s climbing Motto is “No mountain is worth a life, coming back is a success and the summit is only a bonus” and throughout the book he also highlights the importance to have enough power reserves for the descent. What happens if you don’t have these Alan has seen in his friends on some expeditions, which burned themselves out on the ascent and then had no energy left for the descent, which often is even more dangerous than going up. In between chapers there are small anecdotes from Alan’s encounters with fellow mountaineers like Reinhold Messner and Jerzy Kukuczka or the Trek-Ins to base camps and local cuisine. These loosen up the already enjoyable peak stories. A real highlight for me are the fantastic photos Alan has shot during his ascents and from his travels to these two mountain ranges. The photos were shot before the rise of automatic digital cameras and so one needed to know how to adjust ISO, Aperture and Shutter Speed to get great results, and the photos in this book are proof that Alan knows his trade. I have spent a lot of time just browsing the photos, tracing the lines described in the texts to the summit, and enjoy the vast views which you can have when standing on the top of the world. 8000 Metres - Climbing the World’s highest Mountains is a highly enjoyable book that shouldn’t be missing on your bookshelf if you like mountaineering, alpinism and are dreaming of the highest peaks of the planet. The honest & evocative writing is on par with the superb images in the book, and if you ever hope to stand on top of a 8.000 m peak you will do well to read Alan’s book and follow his Motto! Get the book at your local bookshop, directly from Cicerone or from Amazon.de, Amazon.com and Amazon.co.uk.